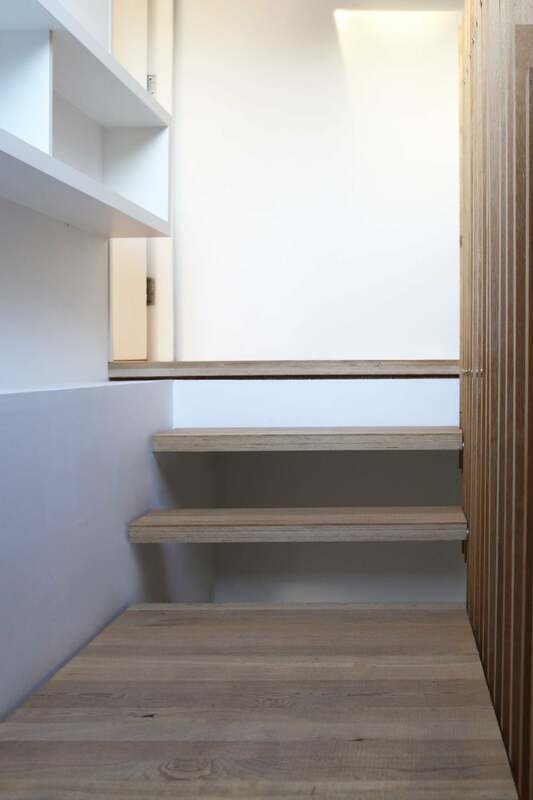 This one bed flat - housed within a large Victorian terraced house in a North London conservation area - had the fantastic advantage of overlooking a former railway embankment, which had been re-purposed as a nature reserve. Planning permission was initially sought for a loft conversion, before a second application was submitted for a balcony from the new bedroom. The subsequent view was well worth the eight-month long planning negotiation. Internally the kitchen and living space were linked to be open plan, while a new bedroom and ensuite were added in the roof. 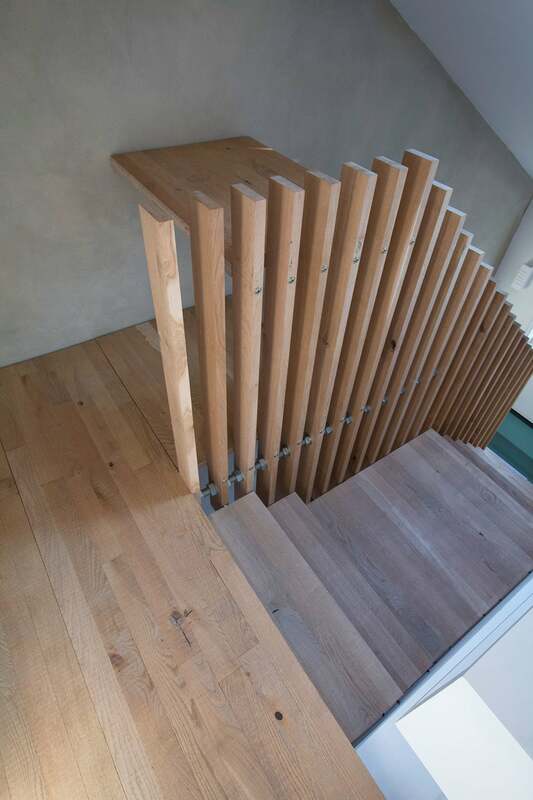 The staircase was carefully considered to maximise daylight and provide a valuable study area.